Home Document Library SharePoint Online SharePoint Online: How to Get Direct Link to a Document In Modern Libraries? SharePoint Online: How to Get Direct Link to a Document In Modern Libraries? 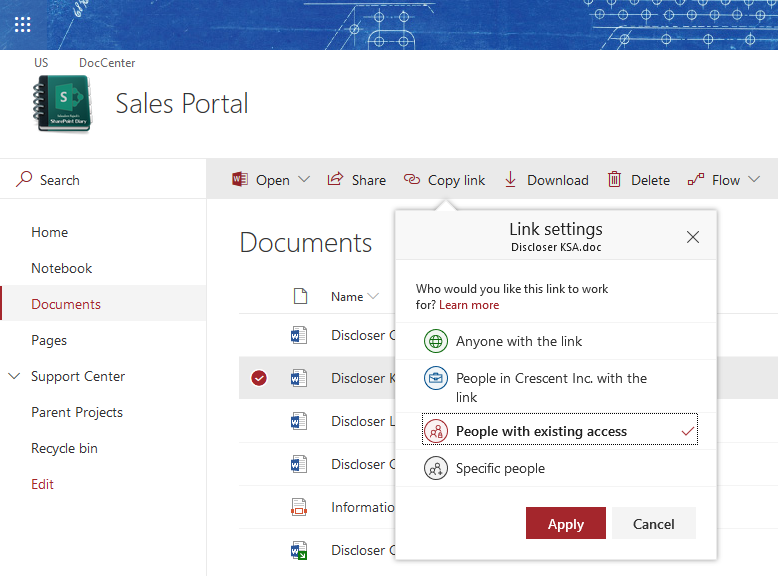 Requirement: Get direct link to document in SharePoint Online. Navigate to your SharePoint Online document library, Select the file and click on "Copy Link" from toolbar. In the link settings popup, Select "People with existing access" and click on Apply. If you have Version history enabled, you can copy the direct link from the latest version of a file.